For years, Playhouse has become renowned for offering the best venues for stag and birthday parties or in fact any celebration. 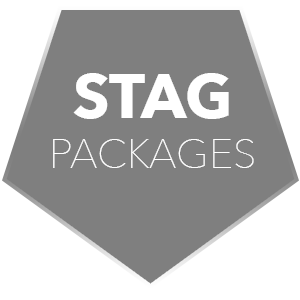 We are proud to be recommended by many of the top fully bonded tour operators who specialise in tailor made stag weekends in the UK. Playhouse is committed to making your party a night to remember. With that in mind, we cater for small to large groups of parties and can accommodate all sizes in any one of our VIP lounges. If you would like to purchase one of our selective Drinks Packages we have several to choose from to suit all tastes and budgets. Along with the stage dance for the lucky man, a Bachelor Party at Playhouse would not be complete without VIP Entry and your very own VIP Lounge. With a case of beer or bottle of spirits waiting for you, dancers on call and your own dedicated waitress, the Playhouse Bachelor Party Pack is specially designed to help you celebrate in style. If you have any questions about any of our packages please contact us using the form below. You can purchase packages over the phone if you wish. Just let us know when is convenient to call and one of our staff will call you back.